LONDON (Reuters) – Oil prices rose on Friday as involuntary supply cuts from Venezuela, Libya and Iran supported perceptions of a tightening market, already underpinned by a production reduction deal from OPEC and its allies. futures were at $71.39 per barrel at 0832 GMT, up 56 cents from their last close and heading for a weekly gain of 1.5 percent, their third weekly gain in a row. U.S. West Texas Intermediate (WTI) crude futures were at $64.19 per barrel, up 61 cents from their previous settlement, set for a weekly rise of 1.7 percent, their sixth straight week of gains. “We expect oil price to eventually move higher in Q2 as OPEC+ potentially runs the risk of over-tightening the market by maintaining its current course of action,” Harry Tchilinguirian, strategist at BNP Paribas (PA:), told the Reuters Global Oil forum. 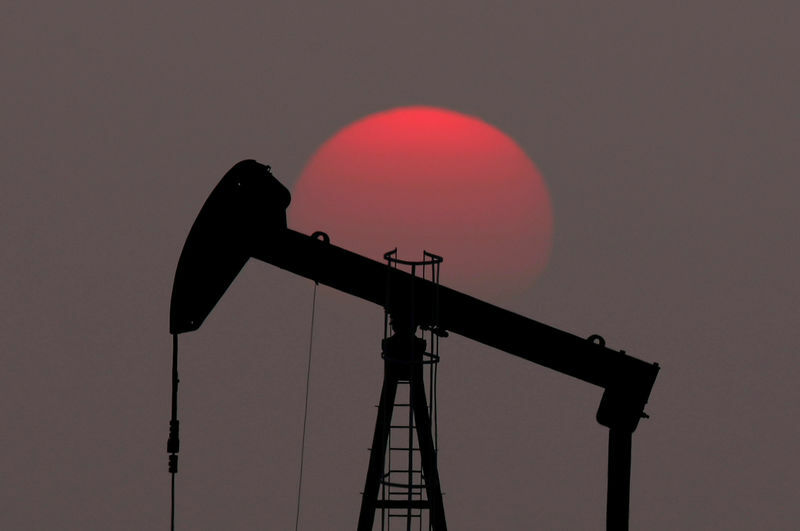 Oil markets have been risen by more than a third this year by supply cuts led by the Organization of the Petroleum Exporting Countries (OPEC), U.S. sanctions on oil exporters Iran and Venezuela, and an escalating conflict in Libya. OPEC and its allies will meet in June to decide whether to continue withholding supply, and while OPEC’s de-facto leader, Saudi Arabia, is seen to be keen to continue cutting, sources within the group said it may raise output from July if disruptions elsewhere continue. On the demand side, most of the world’s growth in fuel consumption is coming from Asia, where China’s economic growth is expected to slow to a near 30-year low of 6.2 percent this year, a Reuters poll showed on Friday. But concerns over such a slowdown were muted on Friday.